As the euro celebrates its twentieth birthday, here's a quick crash course reminding you how the single currency came to be. The creation of an economic and monetary union was proposed as early as the late 1960s. The principal arguments in favour of its adoption were increased economic stability and easier cross-border trade. 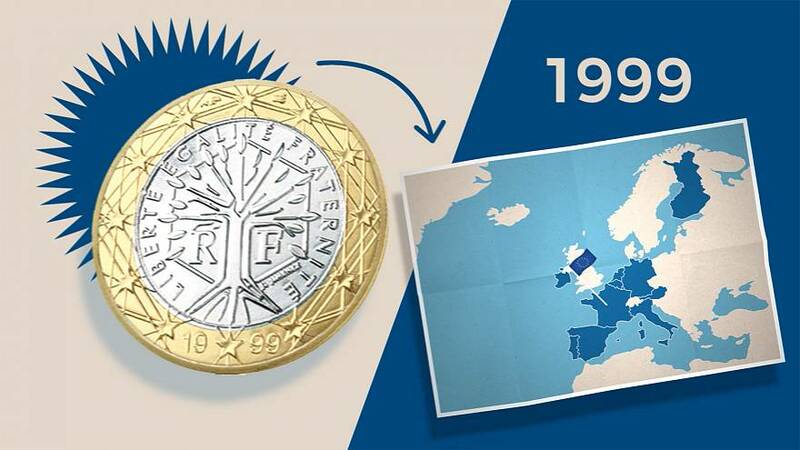 It wasn't until 1999 that the euro really began its journey, when 11 countries (Austria, Belgium, Finland, France, Germany, Ireland, Italy, Luxembourg, the Netherlands, Portugal and Spain) fixed their exchange rates and created a new currency with monetary policy passed to the European Central Bank. In the beginning, the euro was an 'invisible currency' and was only used for accounting purposes. Three years later, in 2002, euro coins and notes came to circulation and national currencies were gradually withdrawn. The first 10 years of the euro were marked by the currency establishing and enlargement. The second decade was largely overshadowed by the crisis. Five euro zone countries (Ireland, Spain, Portugal, Cyprus and Greece) had to seek help due to the financial crisis and the subsequent sovereign debt crisis amid increased speculations over leaving the euro. Emergency measures were introduced, including the creation of the European Stability Mechanism, a financial institution designed to help euro area countries in financial distress. The need for a banking union emerged in order to prevent a repeat of the financial crisis in the future, when seven remaining EU states will be required to join the euro area (Croatia, Czech Republic, Hungary, Poland, Romania, Sweden and Bulgaria) once they meet the convergence criteria.